General Motors favours local heroes | What Car? 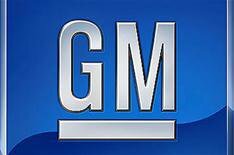 Vauxhall, Opel and other General Motors companies will continue to develop cars to suit local conditions rather than take a one-size-fits-all approach. This is in contrast to arch-rival Ford, which has developed a 'One Ford' policy under CEO Alan Mulally, under which cars are developed with global sales in mind. 'Where do we develop our vehicles? We do it always in the region where they will be sold,' said Rita Forst, Vauxhall's head of engineering. 'You can change a lot of things by specification, but in the end you have to understand what Vauxhall and Opel stands for.